Apparently I'm in a bit of a printable creative slump because I'm here with another banner. If you were here last week, then you know I shared an Easter egg banner. I really do love banners, and this sweet little bunny makes this one absolutely adorable, so all is not lost. 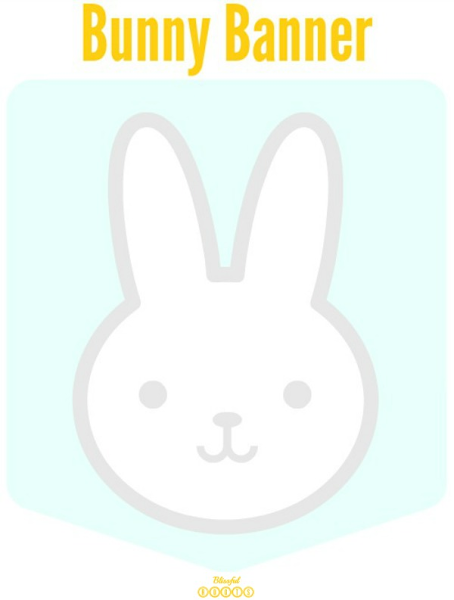 I found this simple bunny image on PicMonkey (in their 'Ordinary Beasts' Overlay) awhile back, and have been in love with it ever since. I knew I wanted to use it for some type of Easter decor, and a banner seemed to be the perfect fit. 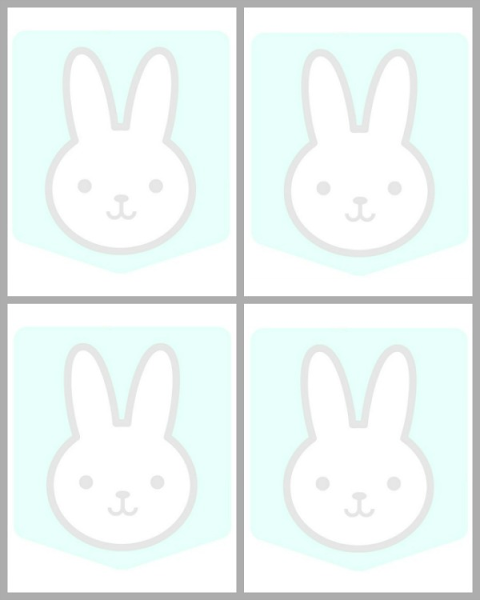 I made a collage of the bunny banner pieces with four images on one page. A good-sized banner should only take two to three pages. Two to three pages is nothing, but when I want a really good quality printing job I always email my images to my local UPS store to have them printed out. The perfect addition to any Easter table, mantel, or backdrop!